Hitched Rimmings is a conjoined negotiation of the synergy and lineage between public and private space. This evocation centers on the potentiality of the skate park as a site for nostalgic longing, corporal desire and the production of counter-cultural social futures. Here, architectural contours rendered appropriate by the state fuse with intimate and communal action, establishing a reflexive spatial arena teaming with alternate performativities. Composed to the resounding chorus of Avril’s ‘Sk8er Boi’*, Hobart based artists Phoebe Beard and Clare Powell respond to disorientating experiences within their local ‘EC Skate Park’ in North Hobart. Through methods of discussion, participation, production and reflection, this performative collaboration transposes alternate desire lines onto the public surround; lines which intersect the perimeters of the private/public dichotomy. What results is an investigatory synergy between two artistic practices and a hitched collection of artefacts posing as lingers of performance and place. *The title of Avril Lavigne’s 2002 breakthrough hit single ‘Sk8er Boi’ has been applied as a vehicle for terrestrial and philosophical feminization, inspiring processes of resistance, disruption and gender ambiguity within a largely male-dominated activity park. 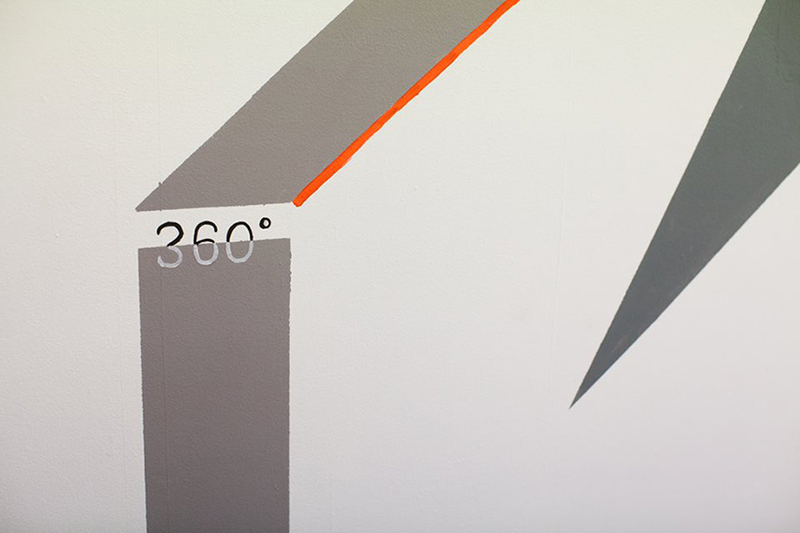 Phoebe Beard is an emerging artist, originally from Melbourne, now based in the city of Hobart. 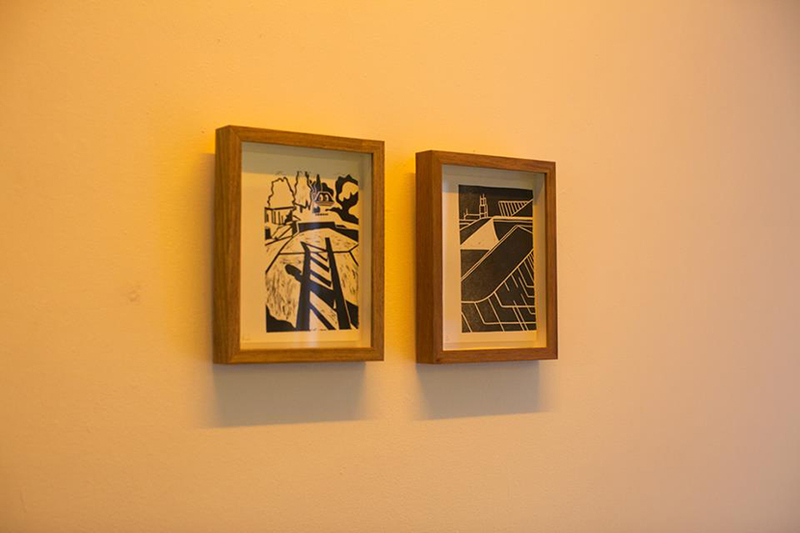 Initially trained as a printmaker, Phoebe investigates different mark making processes from the hand-drawn and hand-cut stencil, to commercial printing and spatial interventions with tape and cardboard. Since completing a Bachelor degree at the Victorian College of the Arts and an honours degree at UTAS : School of Creative Arts, Phoebe has engaged with several community art projects including Hobart Biennale, Dark Mofo Festival and Arts Project Australia. 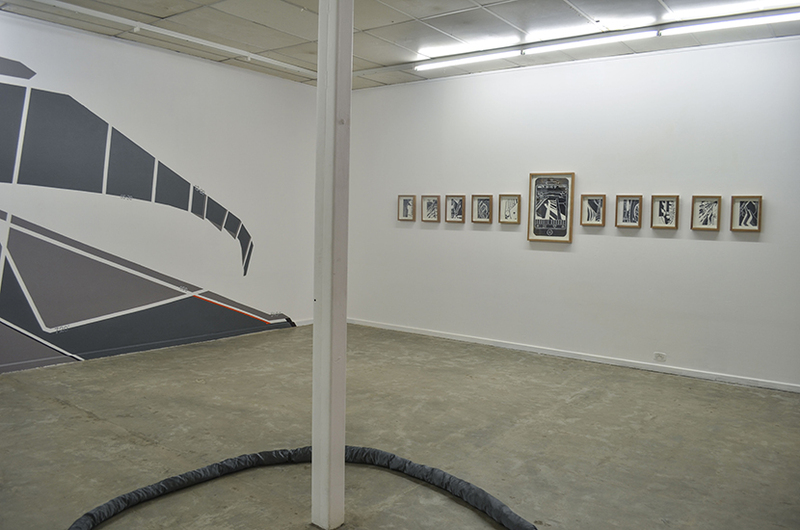 Phoebe has worked as a curator for ‘Networks’ at Alternating Current Art Space and ‘Fake News’ at Visual Bulk, Hobart. Phoebe is a current member of Moving Creature Print Studio in Lindisfarne, Tasmania. 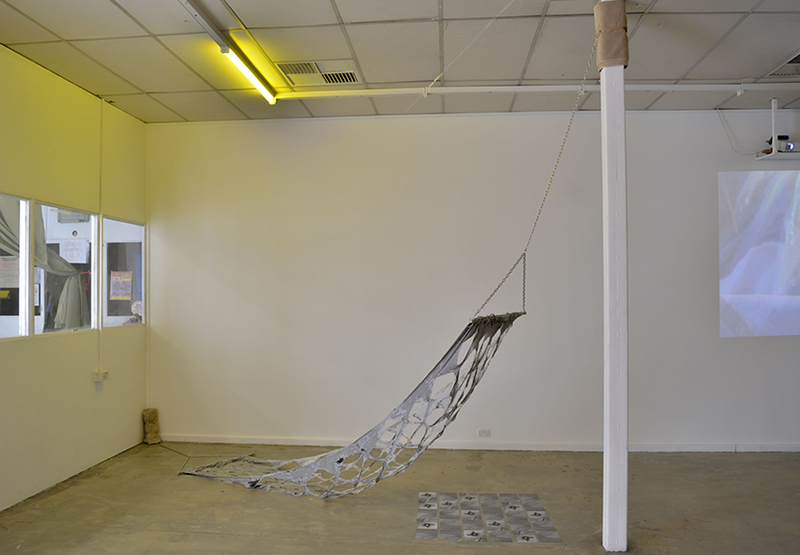 Clare Powell is an emerging artist, writer and educator, currently based in Hobart. Their practice considers the ephemeral queer archive in relation to their embodiment of identity, historiography and community. 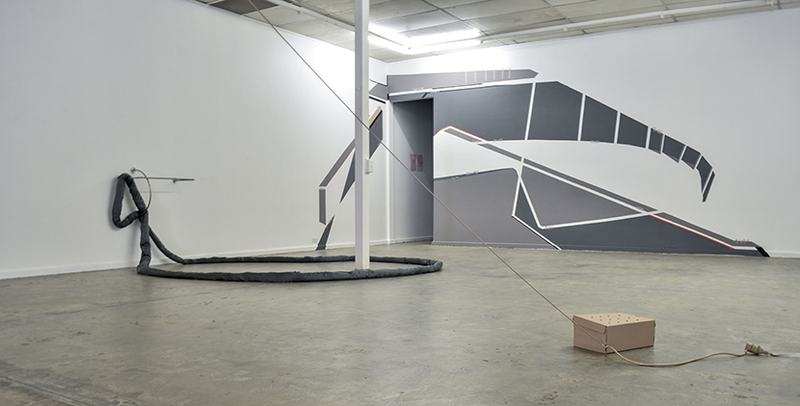 Primarily invested in the assembled space, Powell employs sculptural, video, performance and text methodologies to situate (or disorientate) pathways for meaning-making and pedagogy. Powell is a graduate of UNSW: Art & Design and UTAS: School of Creative Arts, and is currently working at the Tasmanian Museum & Art Gallery. Images by Clare Powell, Alycia Bennett and Mia van den Bos.